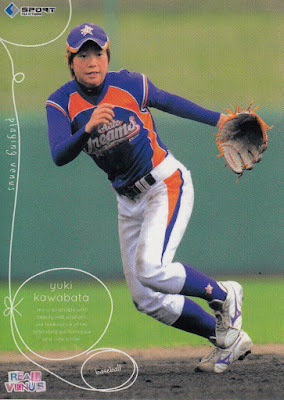 Saitama Astraia infielder Yuki Kawabata announced her retirement at the end of December. Kawabata played softball in high school and after graduation played for Shionogi Pharmaceutical in what I'm guessing is basically corporate league women's softball. 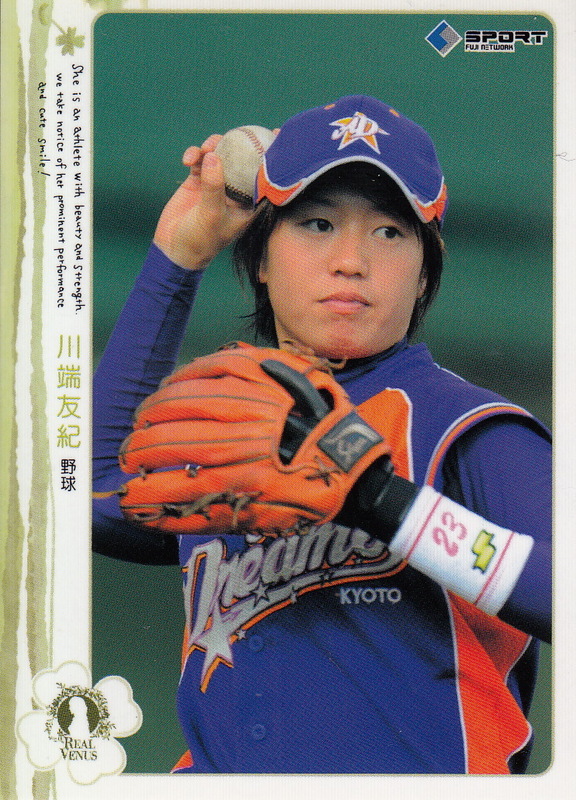 She tried out for the Japan Women's Baseball League (then called the GPBL - Girl's Professional Baseball League) when they started up in 2009 and joined the Kyoto Asto Dreams. 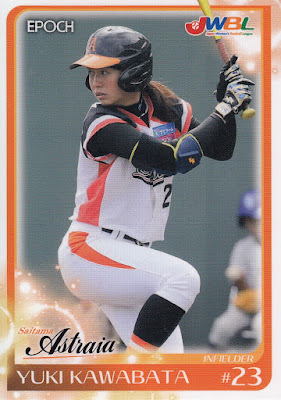 When the league reorganized (and renamed itself) after the 2012 season she joined the East Astraia team that was renamed Saitama Astraia in 2015. 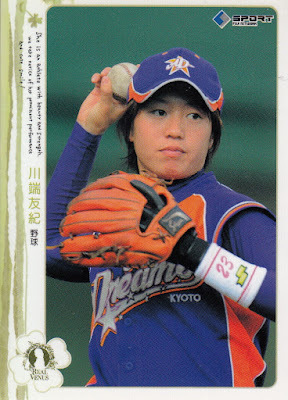 She's pretty much been the face of women's professional baseball in Japan for the past 10 years and one of the best players in the league. She led the league in batting three times, hitting .393 in 2010, .406 in 2011 and .417 in 2013. 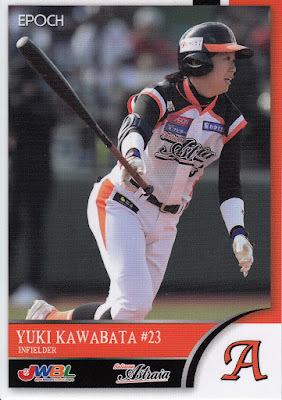 She also led the league in OBP three times with a value of .497 in 2011, .537 in 2013 and .509 in 2017. She was league MVP once (in 2013), won a Golden Glove Award once (in 2017) and was named to the Best 9 team three times (2011, 2013 and 2017). 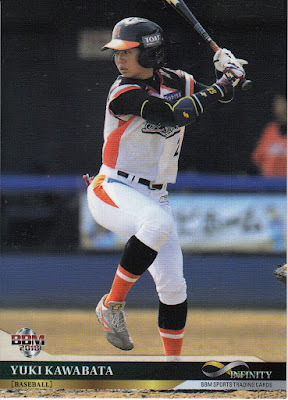 She did not actually play in the JWBL last season (although she's in Epoch's card set for the league) but she did play in the Women's Baseball World Cup for Japan last August. I have a number of cards of her, most of which I've shown before (a couple as recently as earlier this month) but I thought I'd show all of them here. 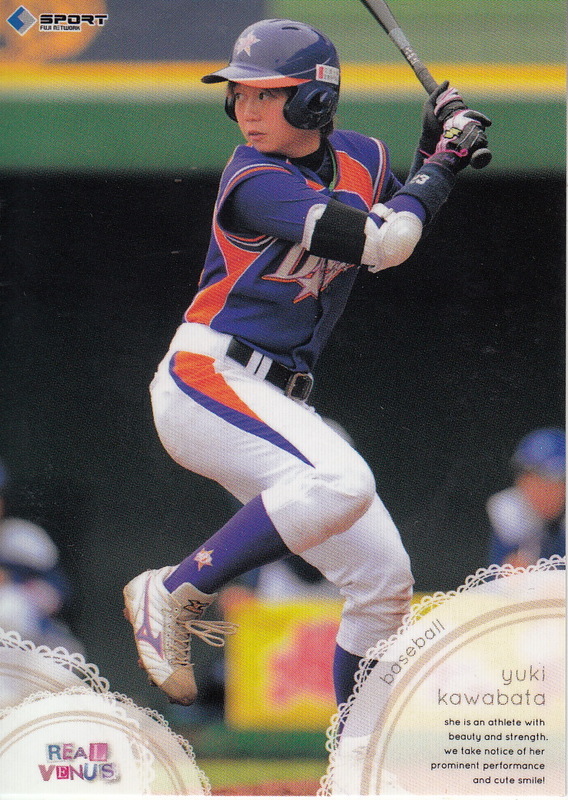 Ryan has at least one other card of hers and I suspect there are others in some of the other JWBL/GPBL sets he's come across. 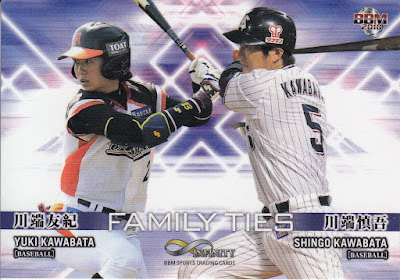 That last card shows her with her brother, Shingo Kawabata of the Swallows. 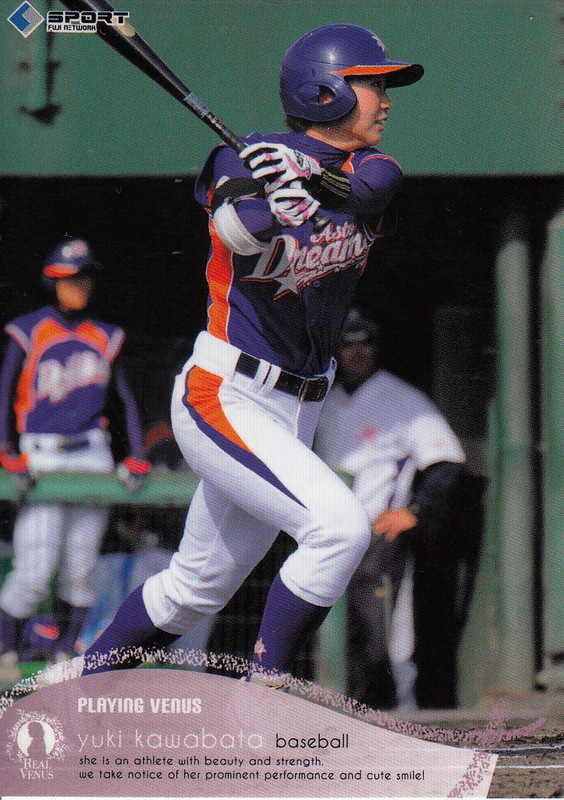 Nice variety of cards. I like the Family Ties subset of last year's Infinity.